This is the last post in a series of six which examines how to enable virtual learners. The first post introduces the series. Adoption of educational technologies isn't just new to our learner audience, it is often a new experience for the people facilitating the process. Ensuring that facilitators are ready to support the process will go a long way towards maximizing the return on investment of time and budget. The facilitator is the glue that holds the other four considerations together: learner motivation, opportunities to collaborate, a blended experience, and usable technology. The virtual facilitator plays a vital role in ensuring that learners are successful. Whether participating via a traditional, virtual, self-directed, or blended approach, learners need to feel as though they have developed a personal rapport with the facilitator. This need is even more important in an online environment than a traditional program because the facilitator acts as an anchor, reassuring learners that support, reinforcement, and assessment is readily available. But take note: active and participative doesn’t mean excessively communicating with email messages and lectures. Instead, it means that facilitators must create a learner-centered environment. More important, they need to move the focus away from themselves and the technology to the content and the learners. So, how does the facilitator weave together the critical considerations that enable virtual learners? Let’s look at each. One of the dangers of online learning is that learners can feel isolated. The facilitator needs to become the central human contact point, reducing the impression that people are learning from a computer. With a more participative facilitator, there are more opportunities for the facilitator to maintain a high level of motivation among learners. The facilitator can be visibly involved in many ways. 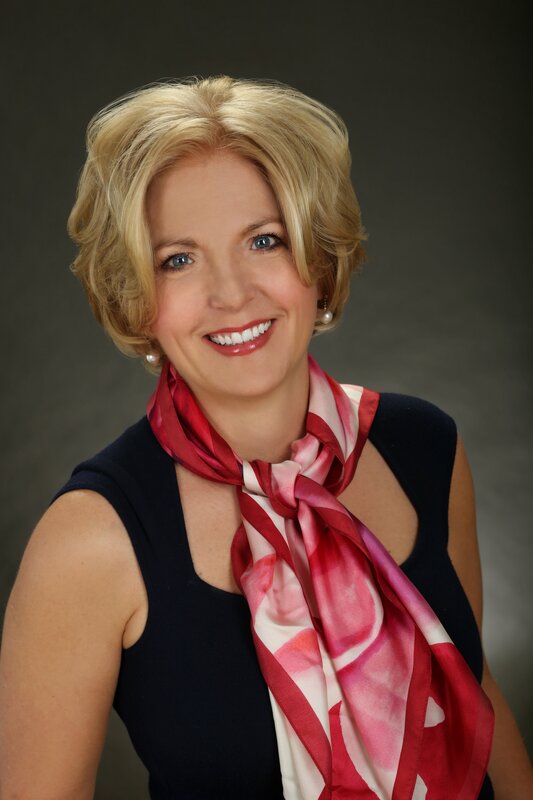 He or she can offer recognition, conduct assessments, and facilitate relationships between remote learners. Because assessments are often a key motivator for online learners (people learn what they’re be tested on), the online facilitator needs to offer continuous feedback and encourage people to complete assignments in a timely manner. An effective online facilitator continually reinforces performance by providing rewards and recognition of achievements. Earlier in this series, we discussed the importance of designing interaction that maximized collaboration between learners. The skilled facilitator encourages collaboration even when it's already designed into the course. They should encourage participants to "speak" as often as possible and to offer feedback to peers. They also need to minimize lecture and maximize engagement by providing feedback to learners on the results of their collaboration. Using language appropriately can also encourage collaboration online. For example, reduce the use of techno-jargon in order to emphasize the learning and diminish the focus on technology. For example, instead of saying, “Please wait while I launch application sharing,” ask learners to participate in a chat activity while you launch the application. Another tip is to use people’s names frequently and to circle-back to comments made earlier in the program in order to facilitate interest amongst the learners. There's a tendency to treat the individual lessons in a blend (virtual classroom, eLearning, assessments) as being standalone modules. The active and participative facilitator constantly reinforces the connections and finds ways to communicate to learners that the self-directed components are critical to the overall success of the blended learning curriculum. They should ensure that self-directed work is completed in a timely manner by incorporating the knowledge gained in the self-directed portion of the course with the live portion of the course. Facilitators also need to continually communicate with learners—not just during the live events. By doing so, learning becomes a continual process rather than a compartmentalized event. Just because the technology is user-friendly, success isn’t guaranteed. Introducing new learning technologies, different ways of communicating, and 24/7 access to information can be overwhelming for even technologically competent learners. The online facilitator needs to manage the learner’s adoption and mastery of such new skills without having it interfere with how they learn the content. To do this, the facilitator needs to begin communicating with learners several weeks before classes begin, addressing technology issues before participants need to focus on new skills and knowledge. Facilitators should develop a communication plan that time-releases information on how to set up the technology, offering support whenever needed (after hours, differing time zones, and so forth) and providing tech-checks and orientation to the new environment. How can a facilitator successfully accomplish all of these tasks when they’re managing multiple sessions or courses simultaneously? The answer is a team teaching approach. Using a producer, or what is sometimes referred to as an assistant facilitator, the facilitator can focus on content and maximizing interaction. Meanwhile, the producer can focus on such issues as technical support, distribution of materials and email, and validation that deadlines have been met. During the live sessions, the producer can assist by managing chat or preparing application sharing and breakout room exercises. In essence, the course has two equally important people ensuring its success and supporting one another. To alleviate confusion, make sure that learners are aware of the dual roles, the responsibilities of each person, and to whom they should direct their questions. For example, instructional or assignment questions go to the facilitator; questions of a technical nature go to the producer. Some organizations are resistant to the team teaching approach primarily because it’s perceived as an additional overhead expense. The producer role doesn’t need to be an expensive resource, though. Organizations have successfully used college interns, administrative assistants, and training coordinators. In addition, a facilitator can serve as a producer when a subject matter expert is delivering the content. In addition, the role of producer can fill your trainer “pipeline” by developing in-house expertise for virtual learning. Opportunities for students to collaborate. A blended learning experience that maximizes the learning. An active and participative facilitator. Designing with these considerations in mind will fully enable your virtual learners, and maximize your organization's time, energy, and return on investment. To get real-life training and experience facilitating in a virtual environment, consider our Virtual Classroom Facilitator Certificate course. 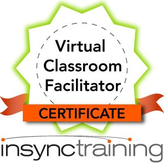 Learn how you can earn your Virtual Classroom Facilitator Badge and access the complete course description by clicking on the icon below.